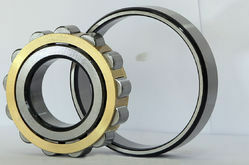 Prominent & Leading Manufacturer from Rajkot, we offer multi row cylindrical roller bearings. We offering wide range of superior quality of Multi-Row Cylindrical Roller Bearings by utilizing premium steel that guarantee strength and better operational execution. We offer these in every one of the three noteworthy classifications, which are one-bearing spotting, two-course finding and full-supplement direction.In one-bearing direction, we have detachable external or internal rings, in two direction bearings course it has two piece inward ring or are independent and in full supplement orientation, we utilize two snap rings as a part of the non-placing race to hold the rollers.